Colder weather brings out the warmer, heartier meals. Something that will keep you warm and stick with you. 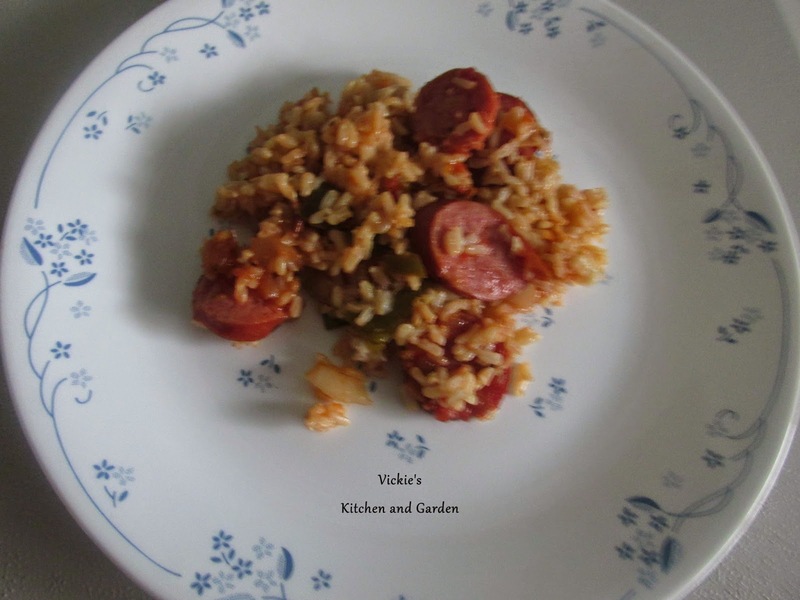 This recipe for Smoked Sausage and Flavored Rice is also easy so that's even better! Just in case you wondering, my husband requested this recipe today so the menu plan kind of went out the window. Makes me feel good when he does that so I can't refuse! My sides for this dish were green beans and mashed potatoes (both leftovers). 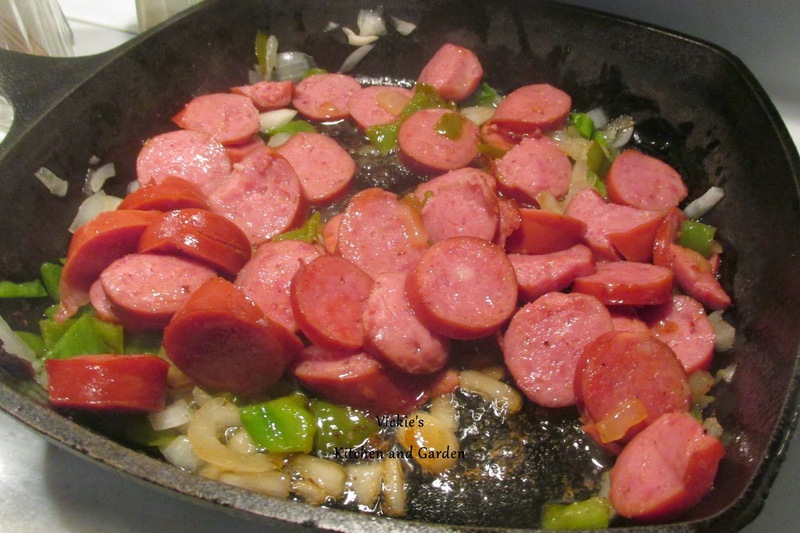 Saute green pepper and onion in oil in an iron skillet until tender then add the sliced smoked sausage. Over medium heat cook sausage until brown then add Salsa. Cook for about 3 to 5 more minutes till salsa is hot and turn off heat. Mix in rice and dinner is served! This post has been linked to The Weekend Social at Kitchen Dreamin, From the Farm Blog Hop at the Homestead Hippy, Say G'Day Linky Party at Natasha in Oz, Saturday Night Fever at Petite Allergy Treats, Snickerdoodle Sunday at 2 Crochet Hooks, The Clever Chicks blog hop at The Chicken Chick, DIY Sunday Showcase at The Interior Frugalista, In and Out of the Kitchen at Feeding Big,Tuesdays Table at Love in the Kitchen,Wonderful Wednesday Blog Hop at Our Daily Bread, Create it Thursday at Lamberts Lately, The Homemaking Party at Hope in Every Season, Full Plate Thursday at Miz Helen's Country Cottage, Making a Home-Homemaking Linky at Lindas Lunacy, Creativity Unleashed Party at Practically Functional, The Share it Linky Party at The Wintrhop Chronicles, The Hearth and Soul Hop at April J Harris.